For tapping applications on CNC machines where the revolutions per minute and feed rate are not synchronized to the tap pitch, tap holders with tension / compression float are recommended. These tap chucks rely on the machine spindle for reversal, but by providing axial float, the tap is able to follow the correct pitch, producing gage perfect threads. 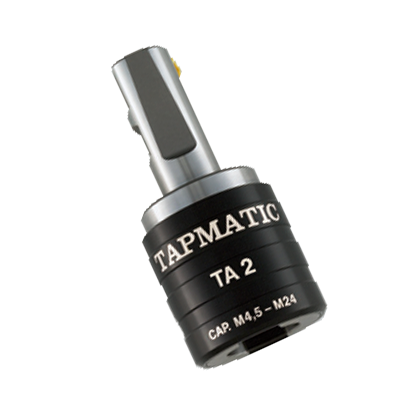 Tapmatic offers a complete program of tension / compression tap chucks with a wide range of sizes, and three different tap holding options. Rubberflex multi range collets, ER collets, or Quick Change.